This lovely french Provincial Dresser features a detailed layered paint finish not typically seen on vintage furniture. 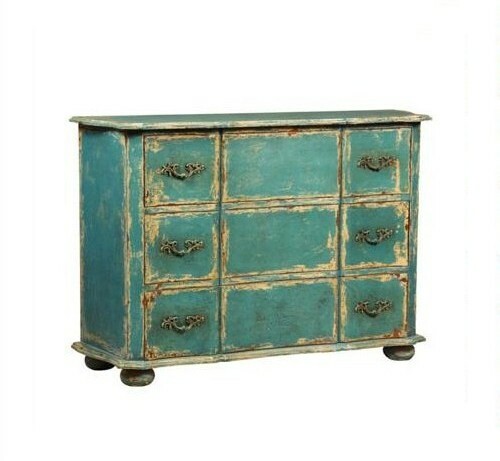 This chest has what looks to be a blue paint, accented with gold around the drawer frames. 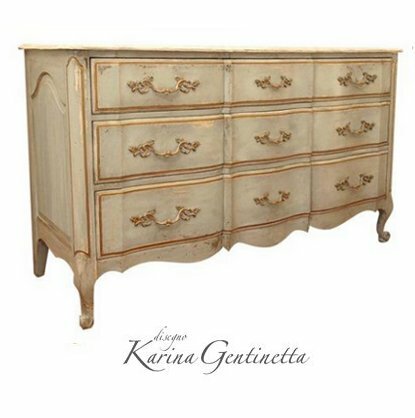 Sold by Karina Gentinetta, an antique dealer in New York, this provincial dresser sure hits it out of the ballpark. The distressing seen on the wood, and wear over time gives it that antique appearance. As you look closely at some of the photos, the chest does have some dirt which might be just normal use over time. It certainly adds to the overall time-worn appearance. When painting blue, many people go wrong by just painting the dresser a shade of blue, and calling it a day. 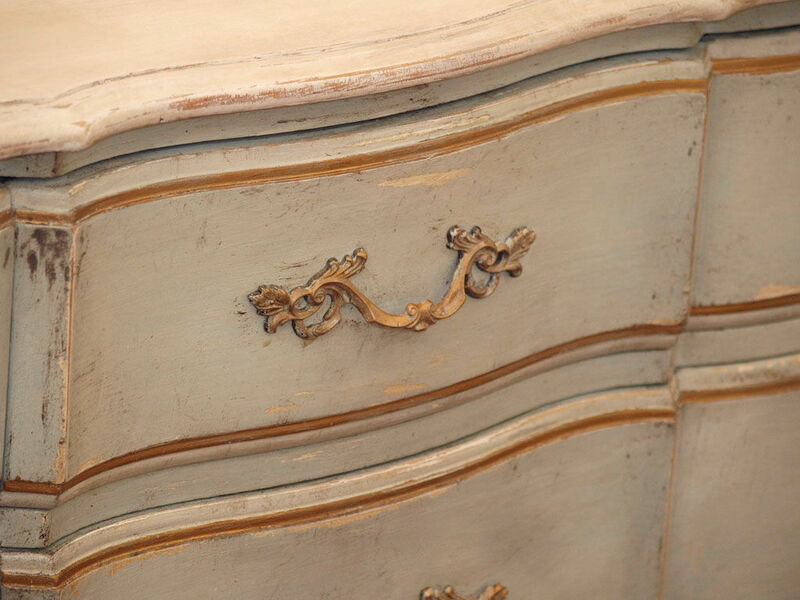 Going the extra mile by adding the gold accenting can really push a vintage french provincial dresser from something typical to a dresser that looks to have antique worth and value. Achieving the antique blue finishes are easier than you think. Often times in the past I have used brighter pastel colors with a darker glaze. The tip here is pastel paint. Brighter colors wouldn't normally be seen in the 18th century, and no matter how much dark glaze you might use over modern day brighter paint colors, the finish never turns out right. Pastels are typical colors that were associated with Marie Antoinette and commonly seen on Louis XV and Louis XVI furniture. Sticking with antique color palettes will give your furniture an authentic appearance. 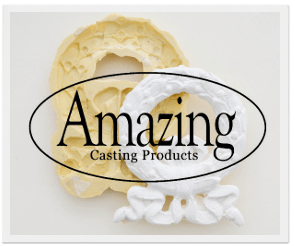 Glaze is a combination of binder and pigment. Binder is simply the glue that holds together the paint) Glaze can give a translucent look to a piece of furniture when it is applied over the furniture paint. In the past I have used simply paint alone, but to be honest it doesn't do a great job. You really have to be skilled to pull off the look working with paint alone without glaze. It can frustrate you in the end. 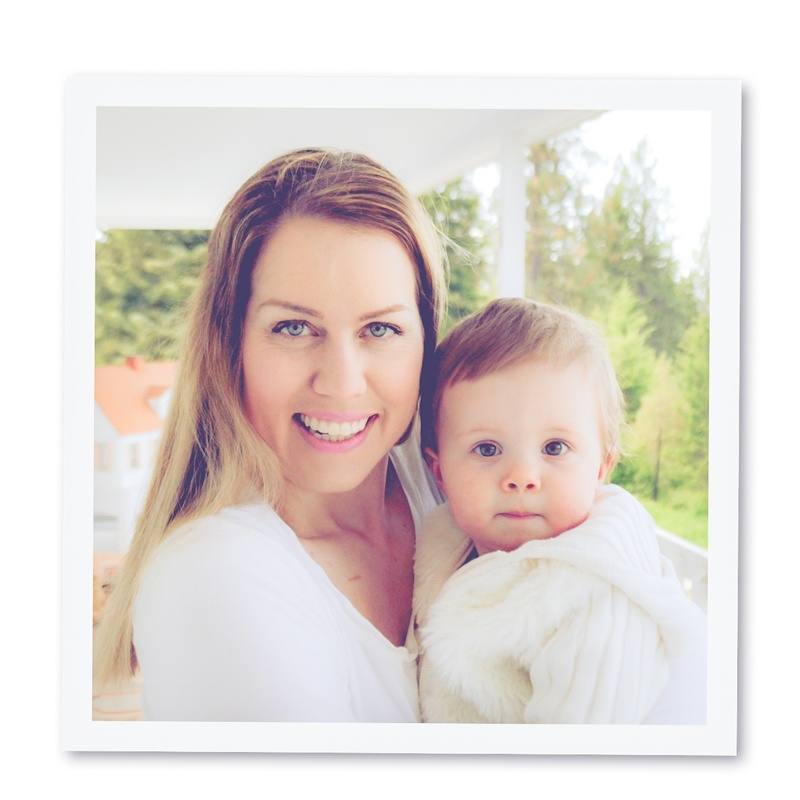 With the method of working with paint alone as a wash, you have to work quickly with a bucket of water and a cotton washcloth beside you. I paint it on, leave it for a few minutes and wipe it off, and pull the paint around on the surface as it begins to be watered down. It takes a little bit more skill working with regular paint, but the overall effect can be much the same as a glaze. There are many ways to use Glaze. Ralph Lauren some time ago advertised his glazing techniques at Home Improvement centers as as a way of transforming modern day patterned or tole wallpaper. Glaze can be mixed with any color. Lauren advertised a series of colored glazes and showed through by simply rolling on a layer of glaze it could transform wallpaper. Painting on glaze and allowing it to dry works terrific with wall finishes, because it builds up a translucent finish that paint alone cannot achieve. With furniture I find glaze works really well by simply painting on the glaze, and after a few minutes working the paint off with a damp cloth gives it the authentic look of dirt building up in the corners over time. With my green paints, I usually add a dark olive green glaze over top, which is then rubbed off giving it the look that it is old and worn and slightly blue than green. 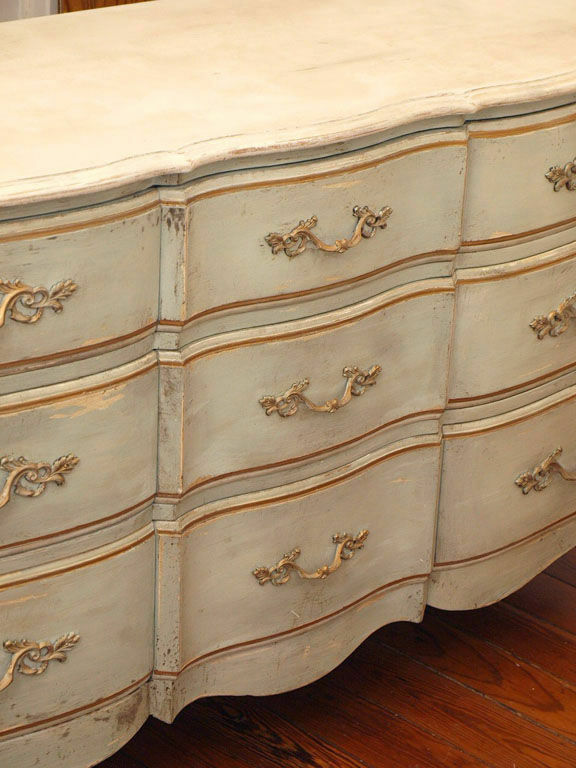 As you look closely with this french provincial chest by Karina Gentinetta, you can see marks on this chest which gives it an old worn look. 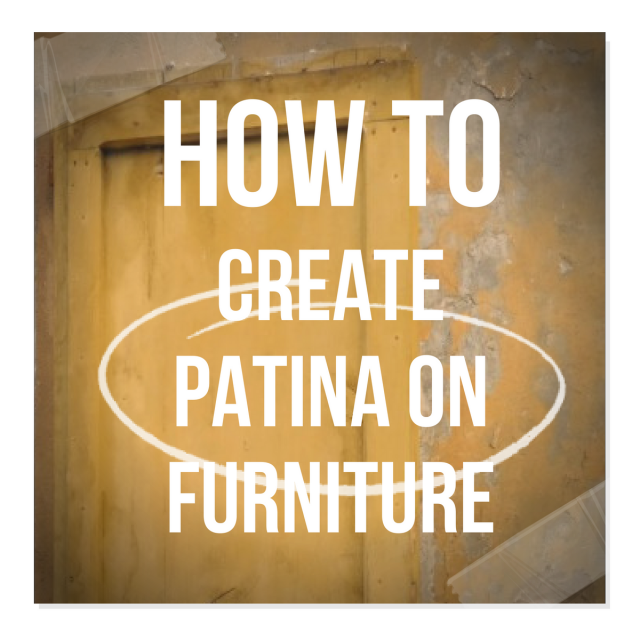 Get some ideas of your own of how to create natural wear by using typical things around your house like the slapping the back of an old shoe with a black sole on the chest or something else that might leave a mark without indenting the chest. The trick is to create marks that appear sporadic and subtle, and not giving any clue to what tool you used. I cannot remember where I got these pictures, but they have been sitting in a folder of mine forever, because the paint finish is so beautiful! 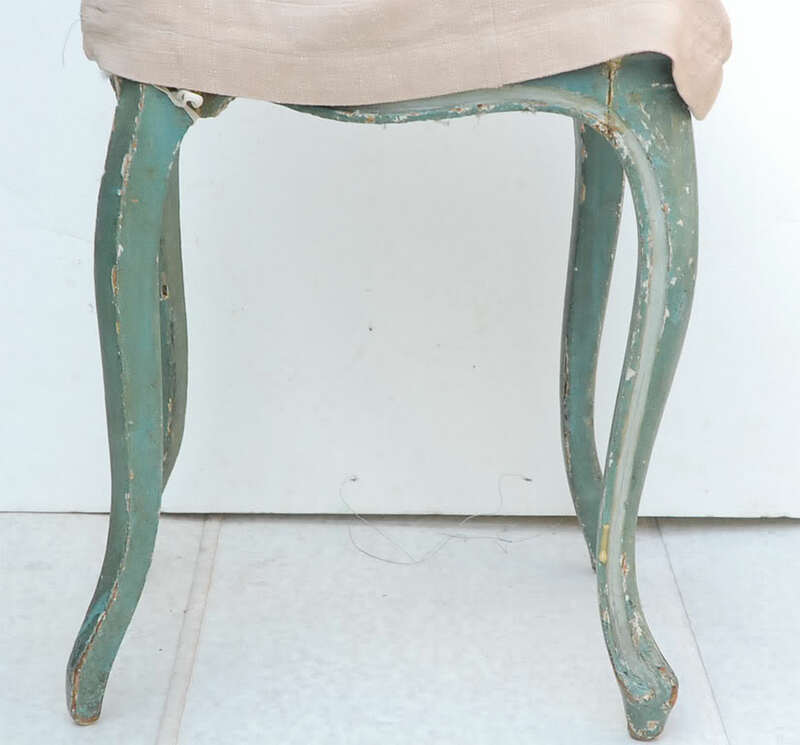 As you can see this antique chair was painted with a pastel blue, and then finished off with a lighter gray toned blue in the details of the frame. From my opinion, I would go about re-creating this look by starting out with a pastel blue base paint. After it dries, you could use an olive glaze to leave a slight appearance of dirt and patina over time. 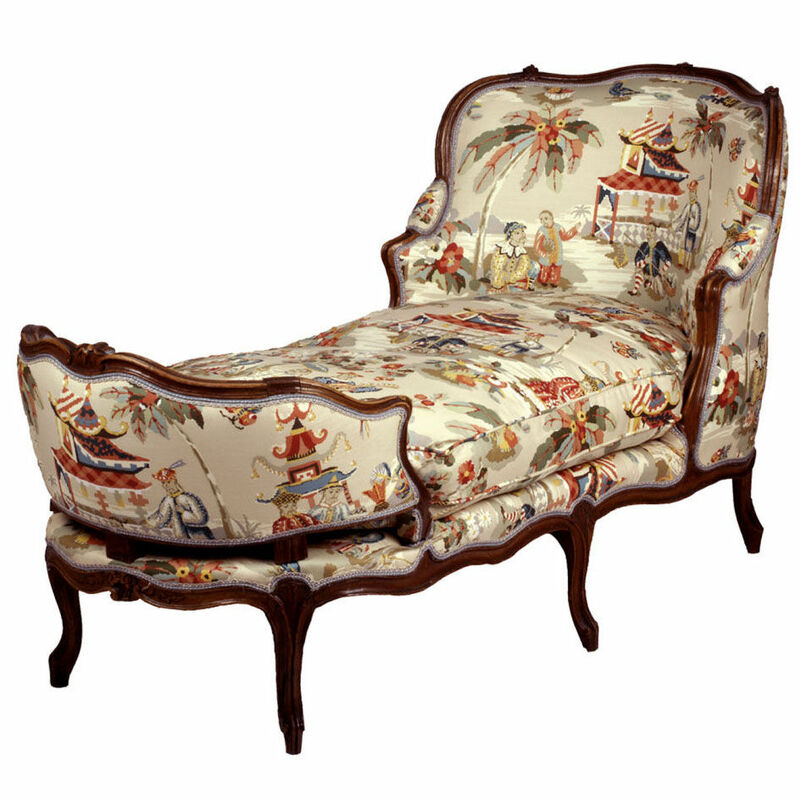 French Provincial Slipper Chairs are tremendously popular because most people feel as though they take up less room than the typical armchair. They are perfect in a living room, office or bedroom as accent chairs. 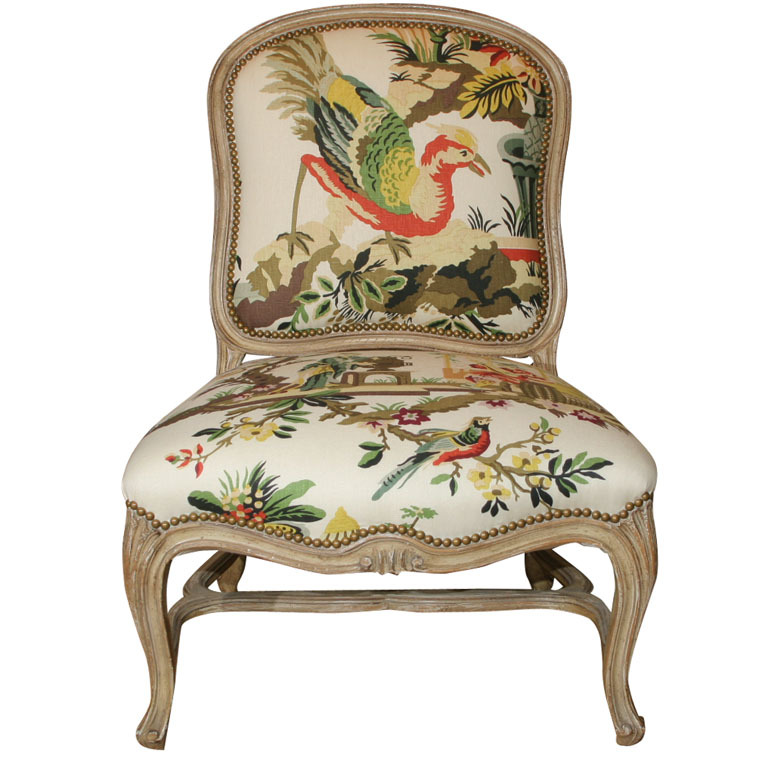 Todd Alexander Romano sold this lovely Louis XV Style Carved and Painted Slipper chair with a lovely colorful print, showing us how incredibly attractive a vintage re-upholstered chair can look. Chairs started being developed with upholstery around the mid 1650's chairs. By the mid 1750's designers started incorporating beauty and design rather than just chairs that served the basic function only. During the 18th century, before furniture production began, chairs were being made with even more curves than ever in history. 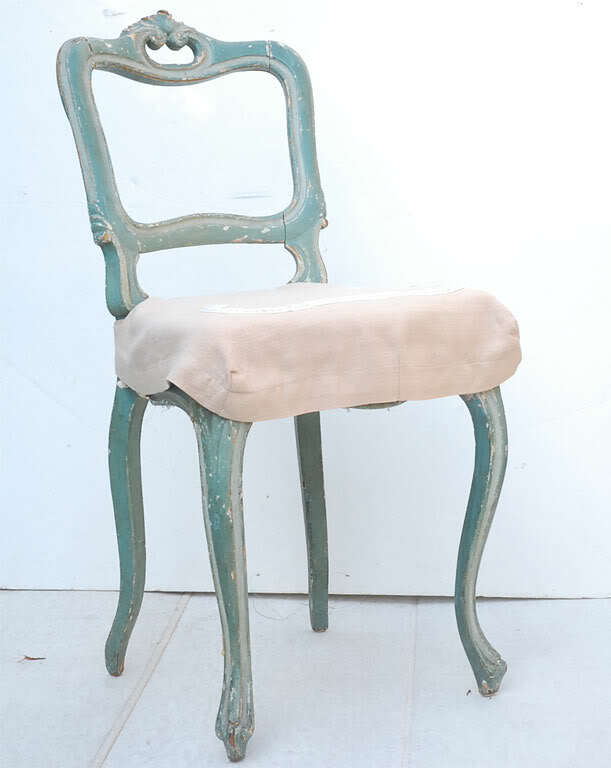 The French had a great effect on the development and evolution of the chair as they truly were were the first ones to develop a lightweight and comfortable chair. French designers were the first to develop chairs with incredibly ornate frames, while at the same time being comfortable to sit in. The process of making one chair required an incredible amount of skill and talent. Before the process of mass production the process of making a french chair was extensive and the materials that were required were considerable. The Louis XV chair required more wood because the chairs frame was curved and was often made out of ONE piece of wood. Chairs during this time has bow shaped backs and curved legs making the whole process quite involved. 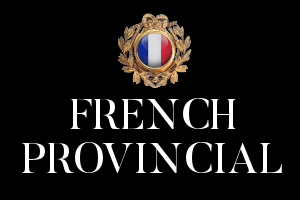 The french were one of the first ones to come out with a whole line of upholstered chairs, including arm chairs, wing chairs, slipper chairs, lounge chairs and sleeping chairs. French chairs are still some of the most fascinating chairs to look at and still some of the most prestigious furniture a person can own. I don't think we will ever get tired of the French chair.